The web may be vast, but competition to get noticed is still fierce. That's why it's essential to ensure your site is responsive, sharp, and SEO-oriented, so you can attract visitors and retain them. Of course, designing a website to fit these features is a lengthy endeavor, but you can sidestep the hassle with Dessign's Premium WordPress Themes, now on sale for $29. 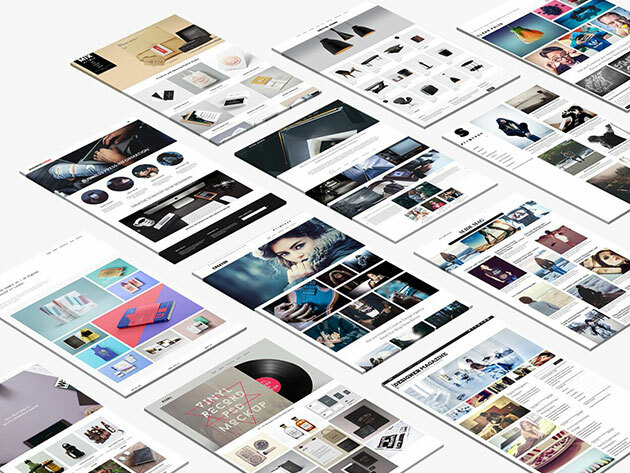 This collection of premium themes from Dessign features more than 170 fully responsive themes designed to make your site stand out. You can browse customized layouts for designers, photographers, bloggers, freelancers and more, and each site boasts built-in SEO to help you reel in more traffic. And, with lifetime access to a growing library and a license that permits use on an unlimited number of sites, this package ensures you'll have design options for years to come. Now, you can sign up for a lifetime membership to Dessign Premium WordPress Themes on sale for $29 in the Boing Boing Store.